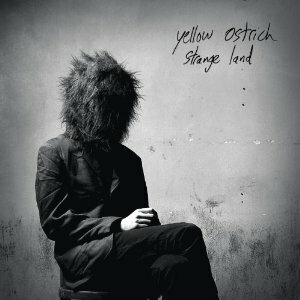 Yellow Ostrich’s song structure generally goes: Alex Schaaf lays the groundwork with either his dynamic voice or understated guitar. Michael Tapper builds on top of that as Jon Natchez decorates with bass and stately brass. Their interplay organically crescendos, and ultimately reaches a clamorous climax. At its best, Strange Land is glorious. Schaaf’s vocals effortlessly glide across the spooky sing-along blues of “I Got No Time for You” before the track mutates into a thrasher punctuated by a proggy breakdown. “I Want Yr Love” features a shuffling, scratching rhythm that marvelously bursts from the tension. Humming horns supply backup harmony for nerve-touching lyrics like “I sing about things that I’ll never be” on the stirring “Wear Suits.” These tracks reveal Yellow Ostrich’s unique, forward-thinking personality. Curiously, Yellow Ostrich occasionally distance themselves from originality. Unlike virtuosic predecessor The Mistress, no vocal loops are used as melodic foundation. “Marathon Runner” quickly buries and fades out the album’s sole loop as if to say, “enough of that.” What follows will undoubtedly sound exhilarating live, though in earbuds the relentless wailing and crashing have overbearing tendencies. “Stay At Home” is a grower despite the indistinct alt-rock radio whiff it emits. Closer “When All is Dead” unnecessarily drowns out the vocals, arguably any Yellow Ostrich song’s highlight. Strange Land may not be an accurate way to describe the entire album, but not many groups can make taking a turn for the ordinary appear odd.